Let’s face it, your garage door is never going to be high on your priority list for checking it is all in working order or giving it a maintenance once over every 6-8 weeks. It’s only when it breaks, won’t open, closes or jams midway that you realise what a pain it is without a functioning garage door. If you give your garage door a regular once-over, then it helps prevent it from breaking and costing you call out charges for a garage door engineer with expensive repairs or even the cost of having a new garage door installed. Read on for our full Guide to Garage Doors. So what types of garage doors are there and what are their pro’s and cons? Sectional garage doors are normally made up of three to eight solid sections which open by moving upwards on vertical tracks on the door frame. The tracks guide the sections up and then they curve sharply into the horizontal tracks inside the garage roof. Sectional Garage Doors are a popular choice now. A Roller Garage Door does exactly that, there are horizontal sections of steel which make up the door which then roll up and into the garage roof space when opened. They are typically seen on warehouses and other commercial buildings, however, a lot more homeowners are now choosing them as an option now. Swing Out Doors are side-hinged doors that open outwards. They can make your home look really classy and retro and they look very much like wooden carriage-style doors. Remembering to maintain and give your garage door a check and once over every 3-6 months will save you time and money in the long run. Some maintenance activities are applicable for all types of garage doors whilst others are relevant to the specific type of door. Wooden doors can be cosmetically repaired the way you would repair any other exterior wood item, exterior-grade paint. To fix dents you will need a bucket, sponge, dish soap, aluminium foil, kitchen lighter, and compressed air canister. Replace your garage door or keep on repairing it? Knowing if you should repair or replace your garage will save you money and time. If a garage door is constantly breaking then it is likely that you should be looking into having a new door installed as they are really heavy and could cause serious damage if they break or when you are trying to repair them. However, replacing a garage door that can be repaired is a huge waste of money, as well as impacting the environment by landfilling large non-degradable materials. Keep your garage door and its mechanisms in safe working order by using our hints and tips for maintenance and safety. If you are unsure at any time if you should repair your garage door then we always advise that you call out a qualified garage door engineer who will be able to quickly identify what the problem is, if it can be repaired and what the cost will be. 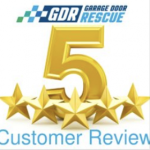 Garage Door Rescue is your local and independent Garage Door experts that can be with you the same day and provide you with an honest and fixed quote for repair or installation in the Wiltshire and surrounding areas. Child Safety Around Garage Doors.